Blog on things analytics, GRC, technology, more or less. n a day when it was reported that the online streaming music app Gaana was raising $115 million (about ₹750 crores) from Chinese Internet investment company Tencent Holdings Ltd and Times Internet Ltd (Gaana to raise $115 million from Tencent, Times Internet – Livemint), came the news that online retailer Amazon had launched its PrimeMusic streaming music service in India. The Amazon Prime service in India costs ₹999 annually and provides “free One-Day, Two-Day and Standard Delivery on eligible items”, PrimeVideo – Amazon’s video streaming service, and now PrimeMusic. 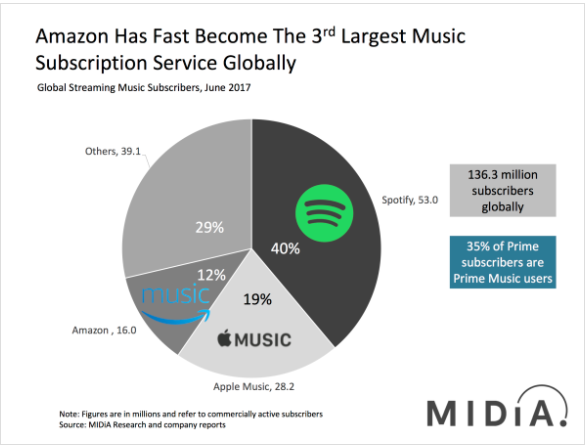 According to Midis Research, Amazon had become the third-largest music subscription service globally, behind Spotify (40%) and Apple Music (19%). I gave the PrimeMusic service a spin, and after two days of trying it out, I came away reasonably impressed. If you are already a subscriber to Amazon’s Prime service, you don’t need to do anything more than downloading the PrimeMusic app (available on most mobile operating systems, including iOS and Android). The service is also available on web browsers. The selection is impressive, and the curated lists are fairly comprehensive. For someone like me who has a preference for older Hindi soundtracks and likes listening to Mohd Rafi, I was pleasantly surprised to find a broad array of choices at my disposal. I can create my own playlists, listen to curated playlists, or listen all day long to stations. I spent all Sunday streaming songs from the service to my speakers. The service restricts streaming on only one device at a time, however. For morning listening, there is an acceptable, though not comprehensive, selection of devotional songs. The price too is right. Where that leaves other services like Gaana, Saavn, Wynk, Hungama, and others remains to be seen. The future does not look very promising, to be frank. But more on this later. From a first look, the Amazon PrimeMusic service seems to have hit the ground running. It is worth noting that it was in May 2014 that Flipkart had launched Flipkart First, a membership program patterned on Amazon Prime, which cost ₹500 a year, and which promised “Free shipping on your orders*“, “in a day” delivery for most products, and “Discounted same day delivery*“. In the more than three years since its launch, Flipkart has not added any new benefits to its First program. It was more than two years after Flipkart First’s launch that Amazon launched its Prime service in India (see my article). At the time, I had remarked on the lack of focus on Flipkart’s part to promote its FlipkartFirst service. It is not as if Flipkart had not ventured into the music business. In Feb 2012, it had launched its online music store, Flyte, and in June 2013 shuttered it. I wrote about it in my article in DNA in 2015. According to one website, the reasons for Flyte being shut down were several, from poor marketing support, digital piracy, low revenues, and more. Second, the financial reasons for which Flipkart shut down Flyte, even if true, defy belief. For a company that had raised thousands of crores of rupees (billions of dollars) in funding, persisting with a new and promising line of business that would burn a hole of a few million dollars a year should have been a no-brainer. Except, that it wasn’t. One can only speculate what Flipkart’s competitive response would have been had it not prematurely abandoned its foray into digital music. 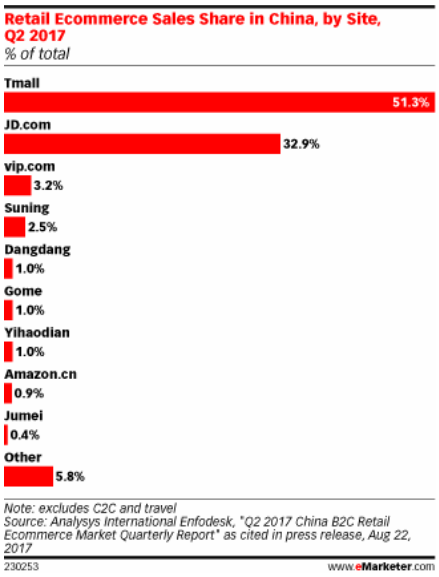 More pertinently, what seems to be clear is that Amazon is betting heavily on India. Having lost the race in China, it has pulled out all stops to turn its India operations into the market leader in the country. 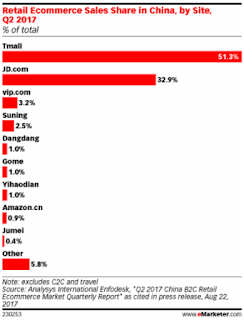 According to this article, Alibaba had a 51% market share, while Amazon had less than 1%. Clearly, India is a market Amazon can ill-afford to lose. The battle for space on the consumer’s smartphone screen is also one of numbers. On this dimension, Flipkart has but one app in its arsenal – its shopping app. 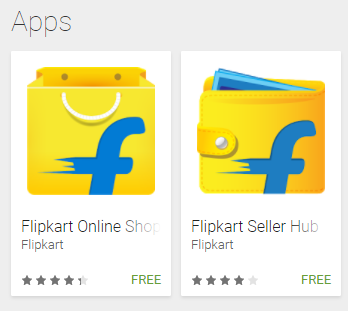 The second app is the “Flipkart Seller Hub”. On the other hand, Amazon has a formidable presence that allows it to land-and-expand: its shopping app, Music, Prime Video, Now (for hyperlocal grocery shopping), Kindle, Drive, Assistant, Photos, Fire TV, Go, Alexa, and more. In all but the shopping space, Flipkart is more of an out-of-sight-out-of-mind case. People may remember that it was in November 2015 that Flipkart had launched, on an experimental basis, its hyperlocal grocery delivery app, Flipkart Nearby. It was a smart and timely competitive, pre-emptive move against Amazon. 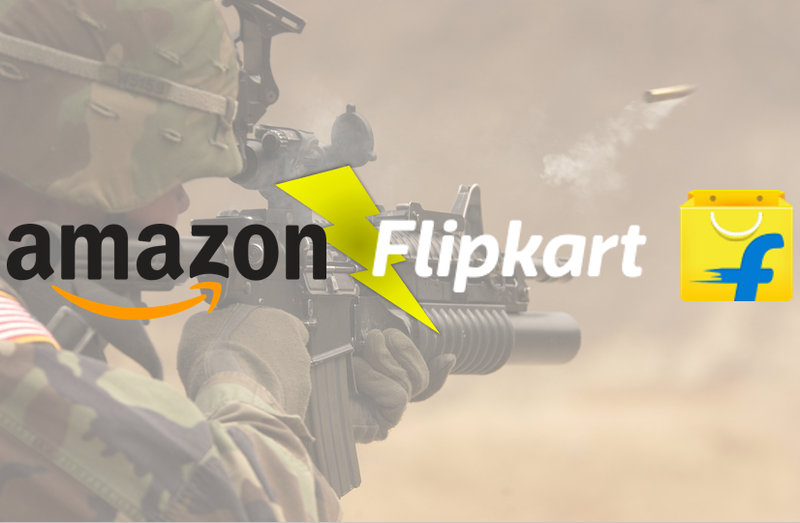 Unfortunately, even that was shut down a short few months later in 2016 as Flipkart doubled down on clamping down on its bleeding bottom-line. But this is only one half of the picture. To understand the other half, it is important to look at the entities that have been funding Flipkart in recent times. According to website Crunchbase, Flipkart saw investments from eBay, Microsoft, Tencent, and Softbank to the tune of $2.5 billion in its last funding round. According to online news site Recode, Flipkart is the largest e-commerce investment Softbank has made from its $100 billion fund. Furthermore, there have been persistent rumours that brick-and-mortal behemoth Walmart has been looking to invest in Flipkart. As recently as January 2018, there were several news stories that talked about the possibility of Walmart acquiring a 20% stake in Flipkart at valuations that could touch $20 billion. To put that in perspective, Walmart’s biggest acquisition to date was its purchase of online e-commerce site Jet.com in August 2016 for $3 billion in cash and $300 million in Walmart shares. Jet.com had been founded by Marc Lore, who had earlier been a co-founder of Quidsi, the company behind the website Diapers.com, and which had a very bruising battle with Amazon a decade back. This is another fascinating story that I mentioned in my article here. All this points to one inescapable conclusion – the battle in India for e-commerce market leadership is no longer between just Amazon and Flipkart. On one side you have Amazon with its relentless focus on execution and remarkable track record of having won many more battles than it has lost. On the other side, you have Flipkart that is now backed not only by billions of dollars in fresh funding, but also a diverse array of interests like Tencent, Alibaba, Microsoft, eBay, Softbank, and possibly even Walmart. These entities seem to be bound by their unanimous need to put all their wood behind the arrow that is Flipkart. This is no longer about investing in the Indian e-commerce market to get a hefty multiple on their investments. It is now looking more and more like the OK Corral where the final shootout will take place. Place your bets on who will come out of this scrap as Wyatt Earp. This article first appeared in OpIndia on March 7th, 2018. This was also cross-posted on my personal blog. © 2018, Abhinav Agarwal. All rights reserved. Flipkart and Focus - 1 - Losing It? © 2005-2017, Abhinav Agarwal. All rights reserved.. Simple theme. Powered by Blogger.